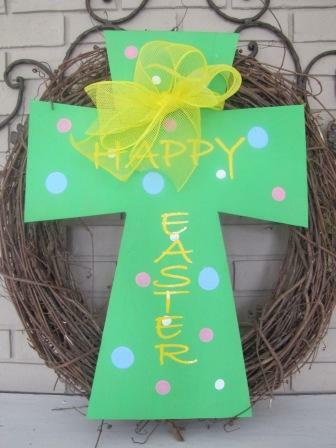 Above item, Happy Easter Cross on a Grapevine Wreath. $32.00 (See in Miscellaneous). E Marie's specialty is in "Personalized" items. We strive to put a real personal touch on our work and critically scrutinize each design. Look for sample monogramming under Miscellaneous, (after saleable items). Use the Contact option at left, to send us an email re specific monogramming questions. We now offer Acrylic items, with "Vinyl" personalization (we call it monogramming), in different fonts and colors. Check them out! Look under "Miscellaneous". All items are "subject to availability". Owner, Ellen Oakes, started this business while recovering from breast cancer surgery to keep life busy and meaningful. Quoting an old cliche, it is a "God Thing". God has richly blessed and continues to bless. Jeremiah 29:11 (New International Version) - For I know the plans I have for you, "declares the LORD," plans to prosper you and not to harm you, plans to give you hope and a future. Copyright © 2008 - EMarie's.